One of the few times I buy paper books is when I do a signing at a bookstore. I figure it’s the least I can do. That’s how I wound up with the hardback version of At Home, by Bill Bryson. It’s a great whacking lump of a book, so good that I bought my parents the Kindle version on our shared account. Yesterday I was reading while eating, which is when I do 90% of my reading, and this monster book wouldn’t stay open on the table unless I held it with one hand. So tedious. So although the paper version was RIGHT IN FRONT OF ME, I went upstairs, got my Kindle, downloaded the ebook version, and read that. To tell the truth, I don’t even like to go into bookstores anymore. Looking at all that paper that has to be stored on your shelf, knowing that many of those books will be returned to the publisher and pulped… Honestly, it makes me all twitchy. What would I take with me on a desert island? My phone and some sort of magic cell connection. I don’t want to travel by horseback (ooh, the smell and feel of horses! ), I don’t want to churn my own butter, and I don’t want a paper book. Engagement. Why free short stories are better promo than free books. Your most loyal readers are invested in you, the author. Pre-internet, “you” consisted of your writing voice, an author photo, and the occasional interview. Now we have the option of engaging our readers with stories of our lives, our writing process, and the interesting things we learn during book research — all of it augmented with pictures, videos, and the opportunity for readers to have a conversation through comments. This is where short stories have a serious promotional advantage over free books. I want you to imagine two scenarios of reader engagement. You give away your book for a certain period of time. The word goes out over FB, Twitter, through your blog, and if you’re lucky, an aggregator of free book offers. Readers looking for free books click the link to your book. The best of these people first read the description of your book and only acquire if it fits their preferred genre. The worst will read anything, and if it’s not to their taste, they may leave a crappy review on Amazon or B&N (this happens). Because they went directly to the book’s purchase page, there is no need for them to visit your website or learn more about you. If your ebook is being given away through a print publisher, there may not even be a hotlink to your website at the end of the ebook. If there is, it’s often unhandy to surf the Web on a dedicated ebook device. You give away a short story, set in your series’ universe and with your characters, on your website. 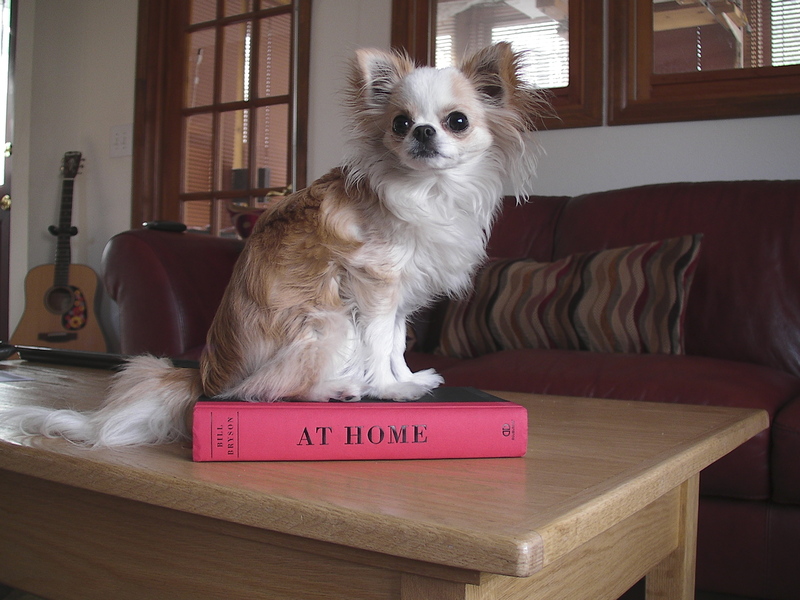 The word goes out as before, ideally with a photo that is larger than the average book-cover thumbnail. The reader goes to your website, sees a photo of you, sees the covers and titles of your other books in the sidebar or banner. Ideally, they begin reading the story immediately, because it doesn’t require a big time requirement. You include photos in the text that evoke the location, any featured animals, something that sets a mood. At the bottom, within the text, you include a personal note that says you hope they enjoyed it. They should feel free to pass it on. You encourage them to sign up for your email list, so they know when more free stories come out. Look, the email sign up box is right there on the right, see? And of course, if they liked the story universe, here are links to the first few chapters of your books, with links to buy at the end. Unlike a temporary free book offer, your short story will always be free. That blog post will work for you ad infinitum, not for a limited time. Along with other items on your website, that story is searchable, and contains key words that bring readers to your site through Google searches. If you want, you can put your books on sale when you promote a new short story, to sweeten the deal. I want you to imagine that instead of selling books, we’re selling food. Let’s say there were as many manufacturers of food products as there are authors, and they came out with new items as often as we come out with new books, and they gave them away for a week at grocery stores. What would happen? People would never have to buy food again. When you go to a grocery story, those food demo people aren’t giving away free dinners. No, they give away samples, and often a coupon to buy the full item at a discount. We should stop giving whole dinners away. Get your readers to your website and give them a free sample. Engage them with photos, stories of your life, and links to free chapters of your other books. Give them the opportunity to buy a book on sale, if you want. When enough authors give away books, people never have to buy books again. This blog post is a follow up to My Plea to Self-Published Authors, which talks about ways short stories are better for readers as well as authors, and one author’s success with short stories. I hope you’ll consider passing these articles along, or writing your own post on the benefits of giving away short stories rather than whole books. If you do, send me a link to your post through my Contact Page, so I can pass it around. Next time, I’ll talk about what Amazon could do to help us sell more books. Hi, kids! Just a heads up that the first book in the Tripping Magazine mystery series is available in paperback as of today, and they have dropped the Kindle price to match ($7.99). Remember, you don’t need a Kindle device – you can download a free app to your PC, Mac, iPad, smartphone, Blackberry, or tablet. 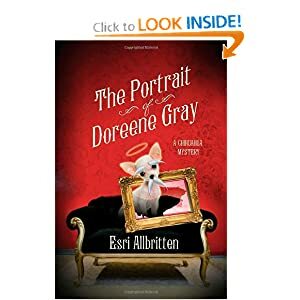 The Portrait of Doreene Gray, second in the series, comes out July 3. Right now it has an Amazon pre-order price of $15.35 for the hardcover, $11.99 for Kindle. That Kindle price will probably stay the same until there’s a paperback, but the hardcover price will likely go up a couple of bucks when it officially comes out. “A little bit X-Files, a little bit Agatha Christie and a whole lotta charming. If you like your mysteries baffling, bizarre and, above all, fun, you’re going to love it.” — Steve Hockensmith, author of the New York Times best seller Pride and Prejudice and Zombies, and the Edgar Award nominee Holmes on the Range. Want to read the first couple of chapters of either book? Be my guest. 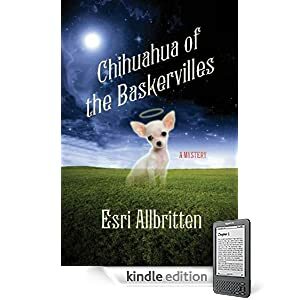 And if you’ve already read Chihuahua of the Baskervilles, don’t miss the free short story I wrote using some of the same characters. Must Read Mysteries not only sells print mysteries, but also makes readers aware of new releases, sales, and free ebook mysteries through their Facebook page. They’re a fantastic resource, so I was extremely geeked when Mr. Must Read Mysteries (Scott) asked if I’d like to guest post on their blog. You can find me there tomorrow, Wednesday, writing on Death and Comedy. I think it’s worth reading if only for the joke at the end. The mystery of Must Read Mysteries – solved! If you’re a Facebook friend, you may have noticed me sharing a lot of posts by Must Read Mysteries. That’s because it’s a great source for ebook mysteries that are reasonably priced or free. 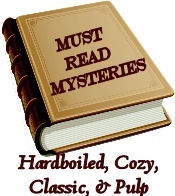 Eventually, I got curious — who was behind Must Read Mysteries, how did they find all these great books, and what was the motivation behind this great service? So I sent a message. Here are the answers. While on the internet I am a man of mystery, at home I am a husband, father of 4 children ranging in age from 2 to 16, and a life long reader of mysteries, especially hard boiled ones. My wife Stephanie, another mystery lover, also contributes to the page, particularly when it comes to the cozy mysteries. One of our favorite things to do is to go to library book sales and find new mysteries to try and fill in some of the holes in our collection. 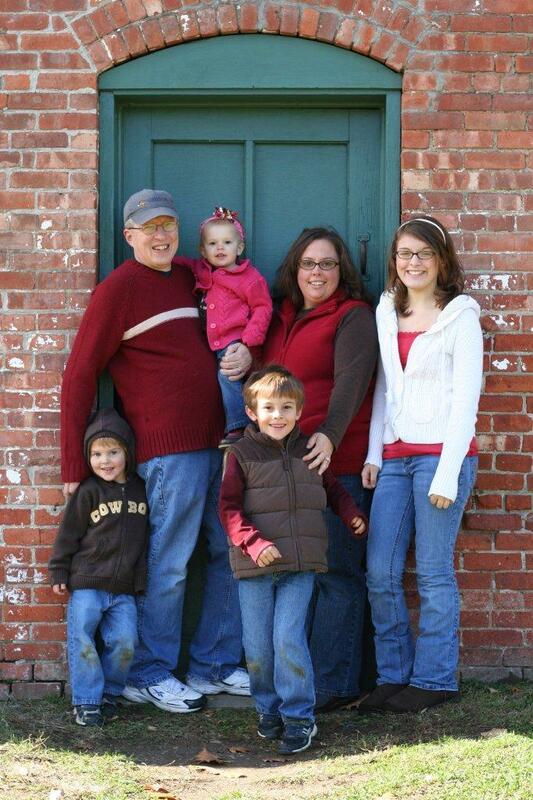 Unfortunately we ended up with a small house bursting at the seams with 4 kids and thousands of books. So we bought a Kindle and started to supplement the income from our real jobs by selling old pulp paperbacks and lots of mysteries on eBay grouped by author, series, and theme. 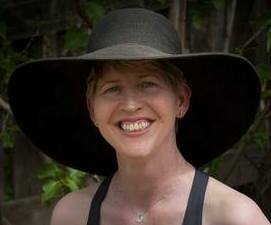 As eBay became less and less seller friendly (making the feedback system meaningless by not allowing sellers to leave negative feedback for buyers even when they did not pay, taking a 9% cut on the cost of shipping) we created our own site, mustreadmysteries.ecrater.com, to sell the used books. To try to drive traffic to it we created the Facebook page and slowly started building a following. Then last summer we were away from home for an extended period of time, and in order to keep the page active I started putting up Amazon links to mysteries I enjoyed or were bargains. It seemed to generate traffic, and Stephanie enlightened me that if I was going to throw up links that we might as well become an Amazon associate and make a few pennies when people actually bought the books. As a bonus it is fun to share the freebies we find with the people following the page. It is a bit like a treasure hunt. So that is what we did and that is how the page came to be what it is today. The income from the links gives us just enough money to feed our mystery reading habits, and now we have a Kindle that is as stuffed with books as our house used to be. How you find all the books (unless that’s a trade secret)? There are several ways, but the starting point is using Amazon’s rather robust and varied search and recommendation mechanisms. I also follow several blogs and keep an eye on favorite author’s pages to see when they have sales. More recently authors have started emailing or messaging me to alert me when they have a promotion coming up. I also have been getting ARCs and gifted Kindle books so that we can do reviews. We have been able to get to most of those, but do not guarantee a positive review. What feedback have you gotten from fans? The most common feedback is people thanking us for alerting them to books or series that they were not aware of. There are also several recommendations that keep popping up: 1) start doing B&N links for the Nook, 2) start a page focusing on science fiction/fantasy/paranormal books, and 3) start a blog with more detailed reviews, musings, recommendations, and perhaps having authors guest post about some of their favorite books from other authors. Those are good ideas that we will try to incorporate as time permits. We welcome feedback from the community because it helps us find new things that might be of interest to others and help us stay responsive to rapidly changing trends. What are your opinions on the future of publishing? The industry is changing rapidly and my opinions tend to change too. In general I am pretty much in the JA Konrath/Barry Eisler camp that the traditional publishing route does not make sense financially for many (though certainly not all) authors. I have found eye opening some of the very open financial pieces written by Konrath compared to similar pieces by a traditionally published authors like Jennifer Stanley/Ellery Adams. The big question now is what the impact of the KDP select plan where authors can have their book be free for 5 days out of 90 at Amazon. Are people going to expect to get everything free and hold off on making purchases? Might they end up with so many books on their Kindles that they stop buying? Libby Fischer Hellmann had an interesting blog post about this recently. One thing I really like about ebooks is the way it is making short stories and novellas available that might not have otherwise seen the light of day. I know this is particularly true for the more hardboiled crime fiction. I have been having a bunch of fun reading through the shorter pieces from Nigel Bird, Ray Banks, Keith Rawson, Heath Lowrance, James Reasoner, Edward Grainger/David Cranmer, Patti Abbott, Thomas Pluck etc. Another thing I think about is the change to the used book market. When we first started promoting lots of used books on the Facebook page, there were complaints from several authors that they would not be making royalties on the sales of used books. I think that used books are a great way of introducing readers to authors that they will later buy new, much like a library is, but as ebooks become more dominant this dynamic is going to change, and it should change in a way that authors are going to earn more royalties off of their back list, especially when the rights revert to them. Right now most back list ebook titles are priced too high, and people looking for inexpensive titles might still buy used books. But as prices go down and e-readers more popular people will buy the inexpensive e-books instead, which should mean more royalties for authors. Do the kids participate in the business in any way? And do you think it makes them aware of the possibilities of entrepreneurship? My oldest daughter (16) has contributed a couple of recommendations (Dave Zeltersman’s Julius Katz mysteries for one) and is thinking of doing a similar page for music. So it has definite made her aware of the possibilities. If we do branch out with Sci Fi/Fantasy/Paranormal she would help with that. The 7 year old is a big reader (“How To Train Your Dragon” is current favorite) and the little ones (5 and 2) love having books and being read 2. The 7 year old has the kindle app loaded on his tablet, but it has to compete for time with Angry Birds. TELLING LIES was utterly clever and fun and often startling truthful. And you’ve really got a wild ride of a writer on your hands. But I think this is just a bit too far on the other side of chick lit for me—the voice wasn’t exactly hitting my chords and I think the tone, overall, falls outside of Harcourt’s best range. Thanks, though, for the read—which was completely unforgettable. Thanks so much for sending me TELLING LIES. I had great fun reading it. This is a really charming novel and I think Esri is a promising talent. I especially enjoyed Julio because my neighborhood is full of Chihuahuas with attitude, so he made me laugh. I’m afraid my gut sense was that this isn’t a big commercial hardcover, so it’s not right for me. If I were still buying paperback, it might be a different scenario. I do think that you’ll find a publisher for this, though, and I wish you the best of luck with it. It was by far the most entertaining novel I’ve read all week! Finally Kensington/Zebra asked if I had any other books for sale. I did, and we left this book behind. And that’s why, six years later, I can offer you what is possibly the best book I’ve ever written – for a buck. At least, for two days it’ll be a buck. After that, it’ll be three bucks. I believe that with the vast audience of the internet, books can be sold inexpensively. That’s why I’ve turned down a second hardback contract with St. Martin’s and plan on self-publishing my books in ebook and print-on-demand from now on. Here’s your chance to validate that decision. Buy it. Read it. If you like it, review it and recommend it. 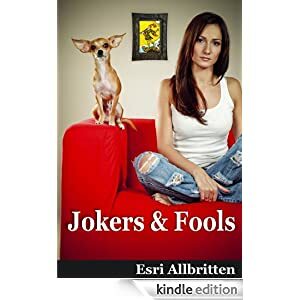 I’m working on making Jokers & Fools available on Smashwords and also in print form, through CreateSpace. For now, it’s on Kindle, but you don’t actually need a Kindle to read it. There are free Kindle apps you can download to your PC, Mac, phone or whathaveyou. Here’s a link for those. 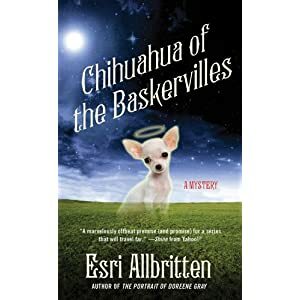 Simultaneous ebook release for Chihuahua of the Baskervilles! It’s not hard to send and receive documents and have them show up on a Kindle. What is hard is finding the instructions, so I’m putting them in this blog post. Each Kindle device has its own email address. With the device on, press the Menu button and select Settings. Your Kindle’s “name”@kindle.com e-mail address is listed under Device E-mail. Use the same name to also send documents to your Kindle at “name”@free.kindle.com . Just stick “free.” in front of the “kindle” part of your email and you won’t get charged anything. Give that email address to the person who is sending the document. Now, not any person can send to that address, or you’d be getting a whole lot of spam. The person with the Kindle needs to let the device know to accept a document from a certain email address. To do this, go to Amazon.com and click on My account toward the upper right corner. Scroll down to Digital Management and click Manage YourKindle. Amazon will have you sign in. Under Your Kindle Approved email List, type in the email of the person who is sending the document and click Add Address. Now all the person has to do is send the document from the approved email address to the email of the Kindle device. Kindles will accept unprotected Microsoft Word, PDF, HTML, TXT, RTF, JPEG, GIF, PNG, BMP, PRC and MOBI files. As I recall, whatever is in the subject line of the email shows up where a book title would normally be. It might take a little time. Give it at least an hour before you start freaking out. And of course, the Kindle will need to be in a wifi zone or have 3G turned on or whatever in order to receive the document. Those are the basic instructions for an all-text document that’s roughly book size. PDF files can be converted to Kindle format by typing “convert” in the subject heading of the email. If you’re doing more exotic things, go to this link for more instructions. If these instructions don’t work for you, please let me know that in the comments.